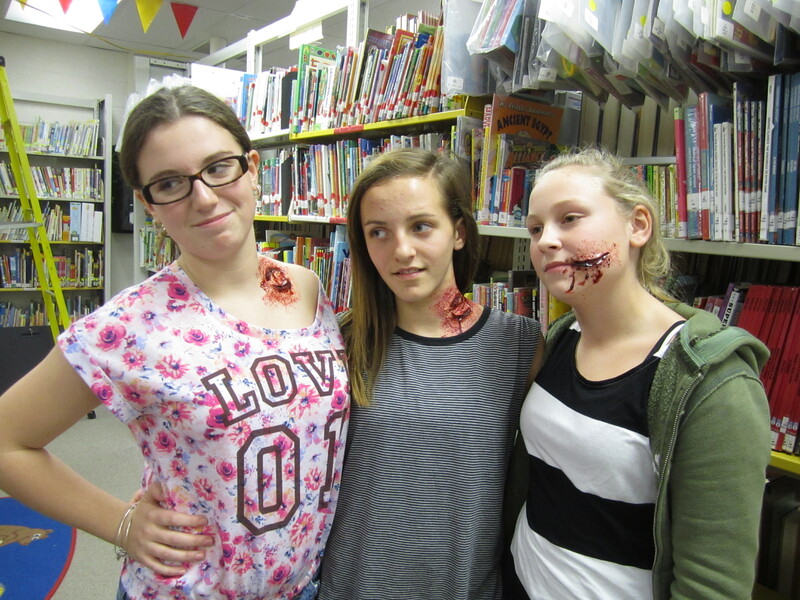 Zombie Attack at the Library! Beware! 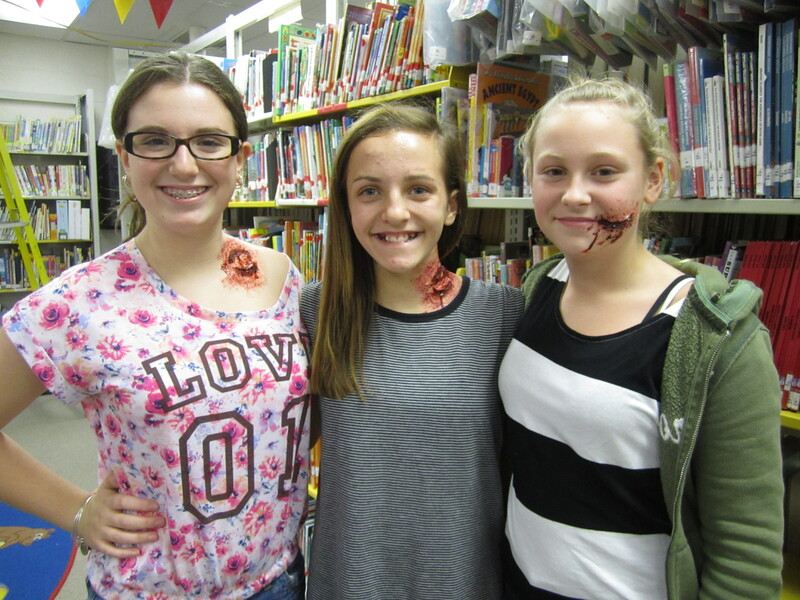 The library zombies have claimed their first victims! Special thanks to Reilly Leonard for lending us her bewitching makeup talents! On Thurs. Oct. 30 at 4:45 PM, let Reilly Leonard transform you into a zombie-bite victim! Registration for this Jr. Friends of the Library event is required by October 27.